One of my favourite things to do in the garden is grow my own herbs. I then use these for cooking a variety of dishes and meals in the kitchen. Most people will know and understand that herbs have been around for a very long time. They are mainly used to help bring flavour when cooking food and some of them are also used in a few medicines. They are also used in oils and a lot of these are used in what is described as being alternative or natural healing methods. The beauty about growing herbs in your own garden is that they are easy to grow, easy to care for and at the end you have something that is also very useful and practical in your garden. What Soil Conditions Are Best for Growing Garden Herbs? What Garden Herbs Can Your Grow in the UK? How to Start Growing Your Herbs? ​Before you start on your own individual herb garden plan, I do want to offer a few words of advice. Those are simple words which are "please don't go crazy with planting." There is a temptation when planting anything to go a bit over the top. My advice when planting a herb garden is to plant only what you will actually use. Most herbs don't offer a great deal in appearance, though most do offer some very interesting scents. However the main reason I strongly advise not to go crazy with planting is that it is better to start small and then grow it up if you want to. That way you can better determine what you want to grow, what space you have available to grow and how much of any on herb you can grow. Herbs will grow well in most garden soils. The key though is to make sure that the soil has good drainage. Rosemary and Bay are the two exceptions as they prefer a gritty type of soil. Almost always it is better to grow these two herbs in pots or containers. If you have a garden where the soil is really heavy or clay like, then unless you change that out, it will be difficult to grow herbs in your garden. Making something like a raised bed or a good sized planter would be a much better option. The ideal soil conditions are any fertile, well drained neutral to alkaline soil is best. If in any doubt about your soil, then a raised bed or containers is a very good option for growing herbs. Herbs like sunlight a lot so always plant where there is plenty of sun. Basil grows really well in the UK. Basil is an annual plant and can only be grown outdoors in the summer. It can not withstand any type of frost and as such should be moved inside during the winter months. Like most herbs, it needs fertile soil, and as much sunlight as possible. If you have a greenhouse that is perfect to grow Basil. 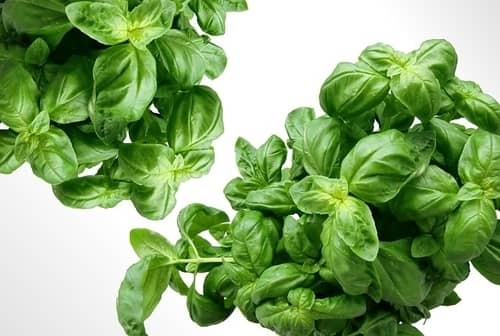 Many UK gardeners will grow Basil in containers and on windowsills. Basil is normally grown from seed, but you can also buy young plants and grow them on. By quite a long way parsley is one of the most popular herbs That is because it is used a lot for cooking. Parsley is a hardy biennial, and it should be sown each year from seed in the spring and summer. It can be used in salads, or combined with basil to make pesto, and is often used as a garnish to dishes. It should be grown in fertile soil and watered in dry weather spells. Most herbs love the sunlight but parsley can tolerate some shade. 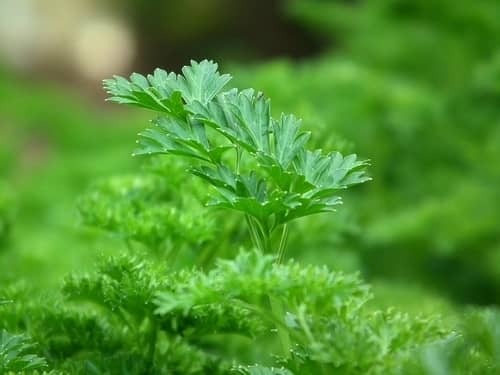 There are two main types of parsley, curly and flat leaf. The flat leaf tends to be more popular, and can tolerate rain and sunshine. 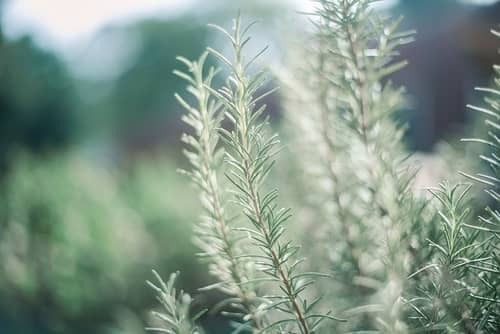 Of all of the herbs available rosemary is one of the most nutritious herbs to grow in your garden. It is an evergreen shrub, with needle-like leaves. Rosemary is used with roast meats such as beef, lamb and chicken, and also used to flavour stuffings. It should be grown in well drained soil with plenty of sun. This is a hardy annual, which is usually grown from seeds. The leaves have an excellent aromatic smell. Dill is great with fish or any seafood. Many chefs use this herb with potatoes and soups. The seeds should be planted in moist soil and partial shade is ideal. 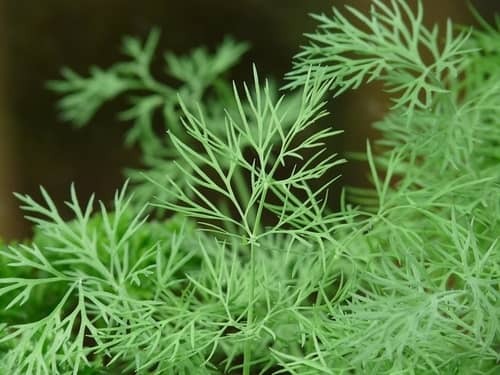 Dill is an annual herb and will grow to around 40-60 cm (16-24") in height. It flowers with a white yellow flower. 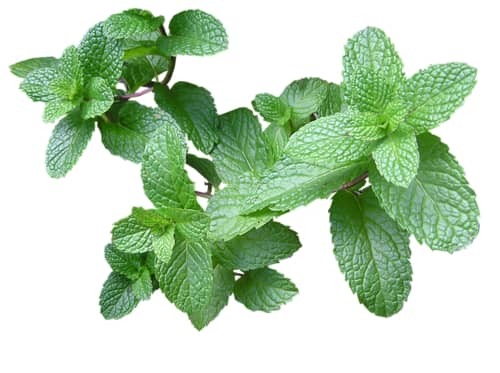 This is my favourite herb to grow and the good news is that this spearmint, is very easy to grow in most gardens. They have a light purple blossom in late summer and the herb is a perennial. This is a very invasive herb so it is best to grow it in pots or containers. It can be used to flavour salads and sauces, such as mint sauce. 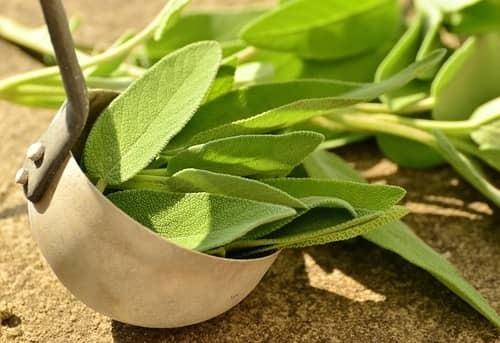 Sage has a slight pepper taste and is one of the most widely used and grown herbs in the UK. It comes in either a purple colour or a green and white colour. That makes it good for adding some colour to your herb garden. It is usually used with cooking pork and for stuffing. Larger leaves are used to create tasty dishes. Sage is a low growing evergreen shrub, and available to pick all year round, and thrives best in well drained sunny areas. This is a perennial and is extremely easy to grow. They are a little decorative and have a purple blossom. The whole plant is edible and even the flowers can be used as a garnish. 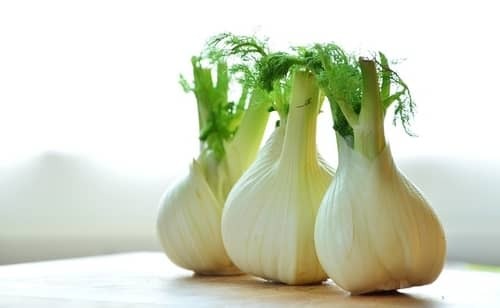 They have a very mild onion flavour, and are popular to use in potato salads, soups and omelets. They can be planted in pots or a garden in a sunny spot and will grow really well. This is not my favourite herb, but many people do like this. It is mainly grown in the UK from seeds. It is a hardy perennial that is aromatic and has an aniseed flavour. The leaves can be used for garnishes, in salads, soups and with fish sauce, as well as in sweet, sticky sauces and delicious puddings. Coriander is a short-lived annual and is usually grown from seeds sown at intervals during the growing season. 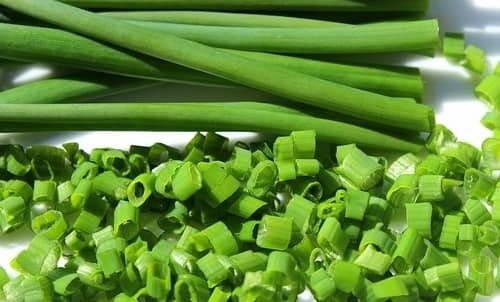 It is used a lot in Asian cooking. The seeds have a lemon taste and are ground down and used as a spice. The leaves are chopped up and used as a garnish. 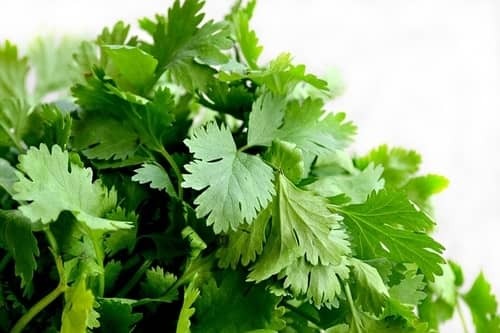 Coriander should be grown in fertile soil and in a sunny spot that can get some partial shade. This herb is pretty difficult to grow but worth the effort to at least give it a go. It is used a lot in French cooking. 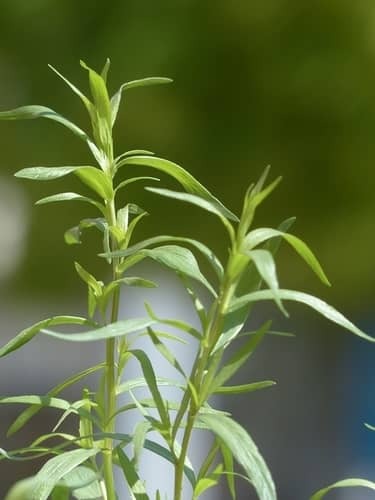 Tarragon is aromatic, with an anise scent and liquorice flavour. In the main it is used with chicken and also used to help make vinegar and oils, as well as make a béarnaise sauce. It is a perennial that should only be planted in dry or very well drained soil. The plants will rot in wet soil. It needs a lot of sunlight so avoid shady areas when planting. You can't really grow this from seed so you need to buy plants and then increase your crop by root division. It is recommended that you divide the plants in spring and replant. Some gardeners simply prefer to keep herbs out of your garden. That is because some of the herb plants can quickly become very invasive. One way of doing that is to use herb pots. These are large containers with three or more outlets for the herbs. Fill the pot up to the first outlet and plant it before continuing on with the filling and planting process. Usually, the herb that requires the most water is planted in the bottom hole, while the variety that requires the least, goes in the highest hole. You can also use plant containers, plant pots or anything that will hold soil to plant your herbs. We also think raised beds and planters can be used for growing herbs. If you prefer to grow herbs indoors, then of course you can do that. The best herbs for growing inside are basil, mint, parsley, oregano, thyme and rosemary. By planting these in pots and looking after them, you ca have a nice selection of herbs at home. There are many options for a herb garden design. In most cases the design will come down to the available space. Always remember that you need well drained soil and as much sunlight as you can get. I prefer raised beds to grow herbs as that way I can ensure good drainage and also locate the raised bed where I know there is going to be lots of sun. The raised bed can also be shaped in any way that you want. I explained those options above, and these are great to use on patios or even in yards where there is no garden. Planters are ideal for growing both flowers and we think particularly good for growing herbs. Many gardeners will in fact grow both in a planter. With herbs you can grow those all year round in a planter. You may need to bring them indoors in the Autumn. Always use potting soil which has good drainage rather than using ordinary garden soil. That will make a huge difference. When growing in planters always remember to water regularly. Grow bags used to be used almost exclusively for growing tomatoes. These days home gardeners use them for growing potatoes, strawberries and also for growing herbs. Most people understand that different plants have different needs. Many of them require alkaline soil. This is the reason why you have to determine the herbs you want to plant in the planning stage. If you want to germinate your herbs from seeds, remember to follow the directions on the packet for soil, watering and temperature. If you do that it is hard to get the growing process wrong. It is probably just simpler though to go to your local garden centre, and buy a few established plants to get started. It makes growing herbs easier and also helps inform you what the plants look like when they are healthy. Herbs really are some of the easiest plants to grow. Your role is to provide them with an effective drainage, plenty of sunlight, and enough humidity or moisture and fertile soil. If you can meet those requirements they will be produce a good harvest.